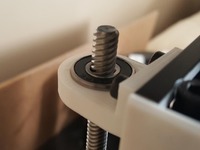 This idler was designed to be mounted on the X-Axis of the TEVO Tarantula and uses 608 ball bearings. 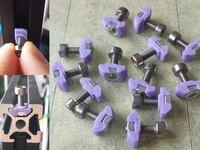 This idler is also usable for other printers with a 4020 extrusion profile as an axis. 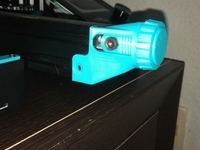 Please let me know if there are other printers where this idler also works. The idler is seperated from its regular mounting option so the carriage for Z-Movement gets balanced. This Idler is used the best way with the stock X-Carriage. This design is not usable with MGN12 linear rails due to the fact that the GT2 Belt will rub against the MGN12 rails. This was the first intended design with a 44 teeth (44T) pulley and a first bracket prototype. I would recommend to use 2 perimeters. 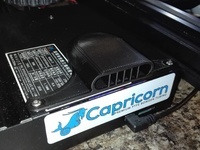 Print with a lower speed, for example 30 mm/s, to get a more accurate printing. I recommend to print the idler with at least 50% Infill for the bracket and 100% infill for the pulley and pulley insertion. Let me know if there are any kind of problems with the idler. I will try to help and if neccessary correct the designs. I appreciate any kind of feedback to these mountings.